Regeneration. Doctor Who fans are quite familiar with not only the term, but the process. It is the in-show explanation when The Doctor "dies" and regenerates into a new body, replacing the actor portraying him. And unfortunately, it is inevitable for every actor who plays the part to make this decision. 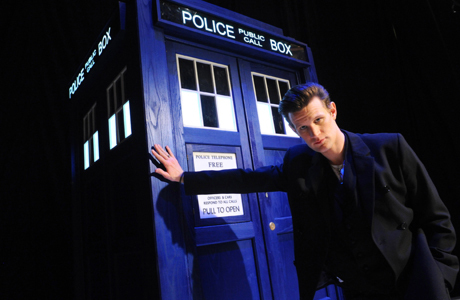 Current Doctor, Matt Smith, after playing the role for three years has decided to hang up his fez and bow-tie and walk away from the role. Doctor Who has been the most brilliant experience for me as an actor and a bloke, and that largely is down to the cast, crew and fans of the show. Now for all you fellow whovians, do not fret. We will still have a bit more time with The Doctor. Matt Smith has been confirmed for Series (or Season) 8, which will split in half with the 2013 Christmas Special, from which companion Clara (Jenna Louise-Coleman) will continue the series with a new actor in the role of The Doctor. And don't forget, we still have the 50th Anniversary Special with David Tennant and John Hurt to look forward to. At this point, no actor has been named to replace Smith, but in 2010, Smith wasn't named as Tennant's replacement until the last minute, so it may be a while until we see a name.